Charity Fundraising is always striving to bring our charity partners new and exciting silent auction items! Today we are launching our newest category of auction items. These original autographed celebrity sketches are considered by many to be some of the most sought after silent auction items at fundraisers. Below is a small sample of the celebrity artwork we have available for your next charity auction. 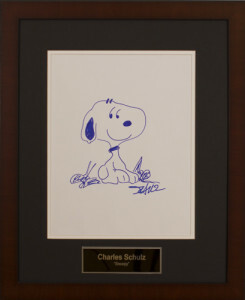 Charles Schulz autographed “Snoopy” original sketch. 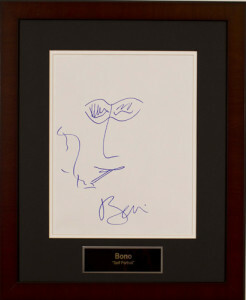 Bono from U2 autographed “Self Portrait” original sketch. 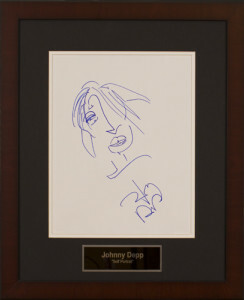 Johnny Depp autographed “Self Portrait” original sketch. 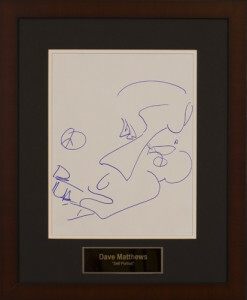 Dave Matthews autographed “Self Portrait” original sketch. To learn more about how you can reserve your autographed celebrity sketch for your next fundraiser contact us today!